One of Patriot’s Checking Accounts is perfect if you are looking to make the most of your money and would like to take advantage of online services that make your life easier! Go GREEN with this e-based checking account. Ideal for members who actively use their debit card for purchases and at ATMs, receive e-statements, access their accounts via online and/or mobile banking. And here’s the “plus” — you can earn cash rewards for using your debit card to make signature purchases. Earn cash rewards with this full service checking account when you shop with your Patriot debit card. This account is ideal for active card users who receive monthly direct deposits and carry average monthly balances. Get paid MORE on your balances with Patriot in this high yield, full service, checking account. Ideal for those who maintain a higher balance in their checking account and want to earn more on their funds. Having a checking account is essential, and our no-frills checking gives you all of the basic features including check writing, debit card access, online and mobile banking services. Compare for a Better Fit! 1$0.05 per purchase; requires 25 completed non-PIN purchases. 2$0.10 per purchase; requires 15 completed non-PIN purchases. 3Annual Percentage Yield is accurate as of 07/01/2014. Paid on average daily balance between $2,500 and $20,000. Rates subject to change without notice. Fees could reduce the earnings on the account. E-Plus: Direct deposits of $500 or 25 completed debit card non-PIN purchases; requires use of E-Statements. Rewards: Maintain an average daily balance of $1,000 PLUS direct deposits of $1,000 or 15 completed debit card purchases; requires use of E-Statements. Dividend: Maintain an average daily balance of $2,500 PLUS direct deposits of $1,500 or 15 completed debit card purchases. Rates subject to change without notice. At Patriot Federal Credit Union, we make it easy to access your money and handle routine transactions at a time and place that’s convenient for you. As the free mobile banking app for smartphone or tablet, Patriot Mobile offers you maximum convenience for doing your banking – anytime, anywhere! You can do transactions, check balances, pay bills and make deposits with a click of your phone. It is available free through iTunes and your Android stores. Our VISA ® Debit Card is accepted worldwide at traditional or online merchants that display the VISA® logo. For quick cash, you may also use it at ATMs displaying the STAR and Plus logo or ask for cash back at supermarkets. 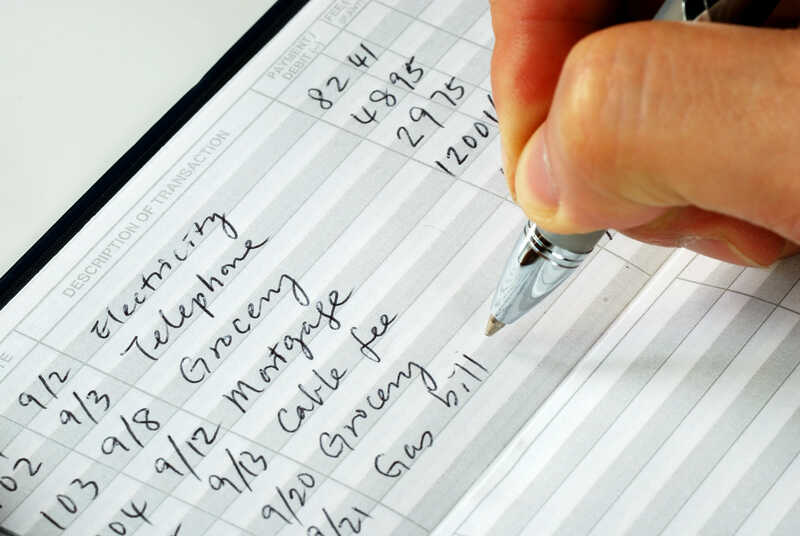 All transactions are deducted from your Checking account and are detailed on your monthly statement. View your account information online and handle routine transactions 24/7 with eBranch. Our secure server provides state-of-the-art encryption technology for your protection. You’ll have an eBranch password enabling you to check your account balances, transfer funds, make loan payments, balance your checking account, and more. When you register for eBranch, you will have free access to Bill Pay to save time and postage! With a few clicks, you can schedule recurring monthly payments and onetime payments that are automatically deducted from your Patriot Checking Account. Security of members’ account information is of the utmost importance at Patriot. E-Statements are the safe and secure online option to obtain your monthly credit union statement. For your convenience, statements are available through eBranch 24 hours a day, 7 days a week. Sign up for Direct Deposit and your paycheck, social security check, or retirement check will be automatically and securely deposited into your Patriot Federal Credit Union Essentials Checking account. Patriot SMART ATMs provide instant acknowledgment of cash and check deposits and faster funds availability. View Patriot ATM Locations as well as an ATM locator for thousands of additional STAR/PLUS Network ATMs. Automatic Deposits and Payments use Patriot’s ACH (Automated Clearing House) Service to make deposits and payments to or from other financial institutions for things like loan payments or other recurring obligations. SMARTLine Automated Phone Banking System makes it easy to track your finances from anywhere you have access to a touch tone phone. Check balances, transfer funds, review transactions, request a check and more. Wire Transfers enable you to send money to nearly anyone in the U.S., usually the same day, at a price that’s lower than most other money transfer services. Our Checking Switch Kit makes it quick and easy to move your checking account to Patriot. Want to talk about what fits you best? 888-777-9982. You can also visit one of our 9 convenient locations. A secure way for all your online VISA card purchases.